Millennials know what they want. This is the on-demand generation where everything is available at the touch of a button. Need a ride? There’s an app for that. Need food, quick? There’s an app for that, too. But when it comes to finding the right home, it’s not as simple as downloading an app. 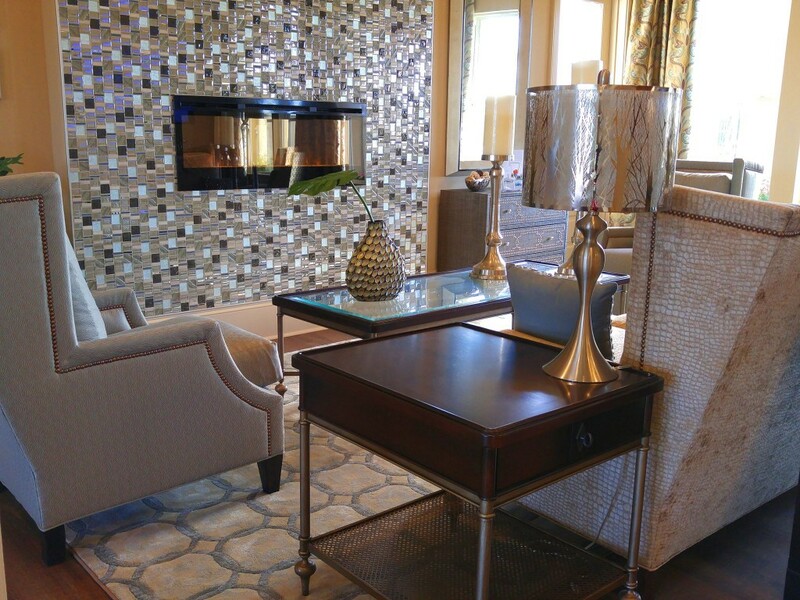 Fortunately, we know what millennials want — and you can find it all at Bella Ridge. The cozy club room at Bella Ridge. While we don’t have an app for dry cleaning, we do offer concierge services for a variety of services (like dry cleaning!). Think of us as your personal assistant — we’re here to help keep your home life running smoothly. Beyond perks like granite countertops, large spaces, separate tubs and showers, and more, we also offer a different kind of resident rewards. Our resident rewards program is free to join and gives you discounts on local shopping, dining, and lifestyle services. Sustainability is important for the earth, and we’re pleased with our Green Globe Certification. This national certification demonstrates excellence in water conservation and energy efficiency. Sustainability doesn’t stop at building codes. We offer free bike rentals at Bella Ridge — it’s a great way to burn some calories and help the environment simultaneously. Four-legged friends are welcome at Bella Ridge. We even have our own designated dog park! Just remember to review our dog park etiquette. Our stunning pool is the perfect place to get away from it all without ever leaving home. In addition to free covered cabanas, our pool also features tanning ledges and a grilling area so you can make a day of it. Meet other Bella residents and enjoy perks like wine nights and holiday parties at our resident events. Are you one of those people who likes to exercise late at night? We totally aren’t. But we feel you! That’s why our fitness center is open 24 hours. Millennials love a good #tb. Enter DVD rentals. You might be tempted to queue up your Netflix account, but check our selection first! It’s old-school fun for an awesome night in. The boneless, skinless chicken breast: a weeknight staple for lean protein that cooks up in a jiffy. But it can get a little boring, can’t it? Keep reading for four new ways to prepare this quick-cooking cut of poultry: they’re big on global flavors but still easy, we promise! Simple Mediterranean flavors transform in the oven, creating a crisp outer crust. We’ll bet you have most of these ingredients in your fridge already! Try serving it with sauteed squash or boxed couscous. Preheat oven to 450 degrees. Grease one large baking dish with cooking spray. Rinse and pat chicken breasts dry, then season generously with salt and pepper. Lay the chicken breasts into the greased dish, then spread each piece with the hummus so that the entire breast is covered. Squeeze the juice of one lemon over the chicken, then distribute the paprika on top. Thinly slice the remaining lemon and place throughout the pan. Bake for about 25-30 minutes. Serves four. Pulled chicken in salsa verde is the basis for an awesome Taco Tuesday. Try using the leftovers for burrito bowls or add barbecue sauce and garlic toast for a barbecue chicken sandwich. Add chicken to the slow cooker, and top with salsa verde and beer or broth. Sprinkle with cumin and add several pinches of salt and one pinch of pepper. Using tongs, turn the chicken so that all sides are coated in the salsa mixture. Cover and cook for 3-4 hours on high or 7-8 hours on low. Once cooked, shred the chicken in the slow cooker using a fork and toss with the juices. Serves 6-8. Canned chickpeas are an easy ingredient that packs on the protein. This one-sheet meal makes cleanup a cinch. Try serving it with a creamy, cool dollop of Greek yogurt sauce (recipe included below) for even more protein. Preheat oven to 450 degrees. Whisk oil, garlic, paprika, cumin, 1 teaspoon salt, 1 teaspoon pepper, and crushed red pepper in a bowl. Transfer 1 tablespoon of the oil mixture to another bowl, and add the yogurt. Set aside. Place chicken on a rimmed baking sheet (skin side up if using skin-on breasts). Rub two tablespoons of the oil mixture generously on the chicken. In a separate bowl, add tomatoes, chickpeas and half of the cilantro, then add the remaining oil and mix to coat. Pour onto the baking sheet around the chicken. Turn to coat the chicken with any extra oil. Sprinkle with 1 teaspoon of salt. Roast for about 20 to 30 minutes. Transfer chicken to serving plates and spoon the bean and tomato mixture over top. Garnish with remaining cilantro, and serve with the yogurt sauce. Serves 4. Want to spice things up? This baked recipe brings the heat. Pair it with simple, steamed Jasmine rice for upgraded take-out at home. Preheat oven to 400 degrees. Grease a large baking dish and set aside. In a large bowl, whisk the minced white onions, hoisin, garlic, ginger, salt, lime juice, Sriracha sauce, and Chinese five spice. Piece by piece, place the chicken breast in the bowl and coat completely with the sauce. Place coated breasts in the baking dish and pour any remaining sauce over top. Cover the baking dish with foil and bake for 35-40 minutes. Place chicken on serving dishes and top with onion greens and sesame seeds. Serves 4. We’re excited to bring you the good life at our newest apartment community, Artesia Apartments! Located in the heart of scenic Covington, this 264-unit property features all of the luxurious, modern amenities you’d expect from a new community. Case in point? Artesia’s resident services center. Clocking in at 5,654 square feet, this enormous area just for residents features touch screen virtual property tours, a furnished snack bar, and a professional fitness center overlooking Artesia’s resort-style swimming pool (complete with tanning ledges!). 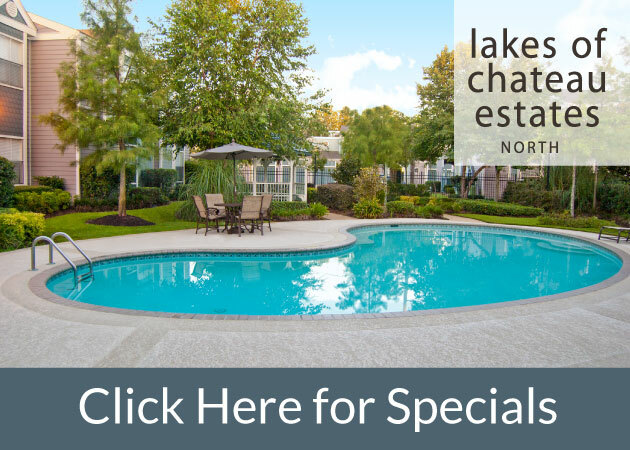 Speaking of the pool, unwind in style under double arbors and semi-private cabanas. Bring your furry friends along to Artesia’s private pet park, or grill out at the outdoor kitchen facility. With nature as our focal point, Artesia is brimming with peaceful water features and beautiful landscaping—not to mention our zen sculpture garden! Of course, when you’re deciding which apartment community to call home, a property’s most important features are within individual units. 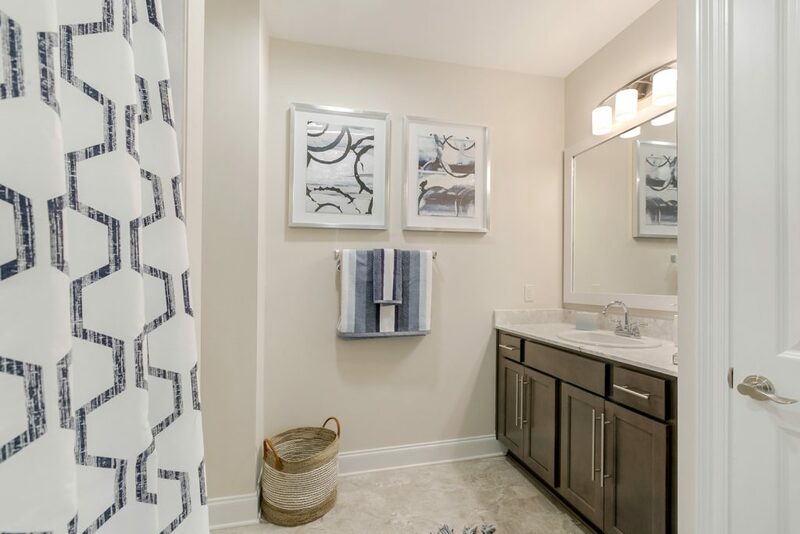 At Artesia, you’ll find thoughtful details like stainless steel appliances, freestanding showers, garden tubs, shaker panel kitchen cabinets, faux wood flooring, granite countertops, and crown molding. Many apartments also boast smart features like USB charging ports. 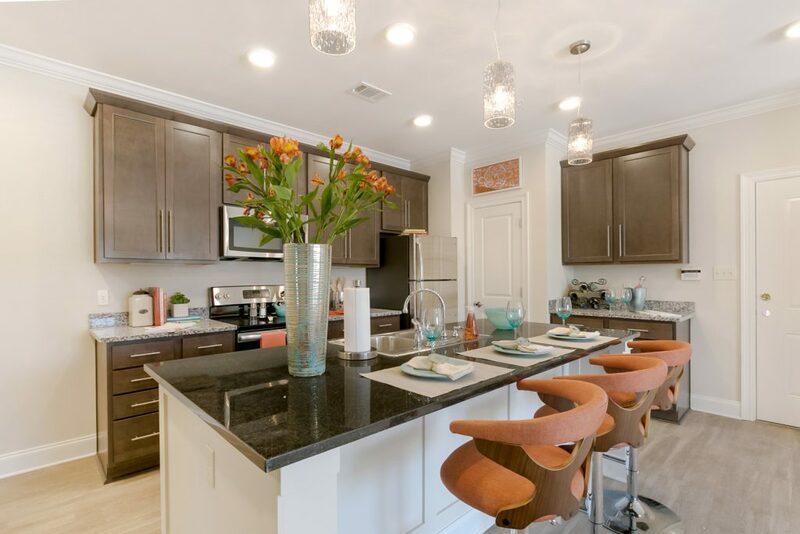 In addition to design, Artesia is also focused on convenience: freestanding, remote-access garages are available, as are on-site package delivery modules. All units include washers and dryers with some having a dedicated laundry room. If you’re interested in calling Artesia your new home, contact us today! 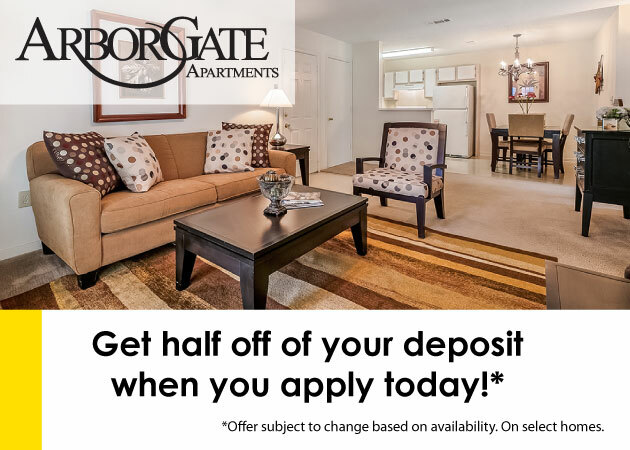 Two-bedroom apartments will be move-in ready on May 1, and we’re currently offering select special like one month free rent, reduced deposits, and waived administrative fees on select units. Festival season is here! And we’ve got a full list of New Orleans festivals happening over the next few months in and around the city and its metro area. Take a peek! Wednesdays at the Square — The Young Leadership Council (YLC) of New Orleans hosts this fun, free event every Wednesday from 5-8 p.m. in Lafayette Square in downtown New Orleans. It’s a great way to get yourself over that weekday hump, and proceeds from sales of food and beverages benefit YLC charities and causes. The weekly series runs through May 24. Delgado Music Festival — Delgado Community College hosts this free event at its City Park Campus (615 City Park Avenue) on Friday, March 31 and Saturday, April 1 from 10:30 a.m. until 9 p.m. Expect performances from artists like Preservation Hall Jazz Band, Stephanie Jordan, and more. Hogs for the Cause — Help support kids facing scary diagnoses at Hogs for the Cause, benefitting treatments and support for families with children with pediatric brain cancer. This fest is all about the barbecue, with amazing pork dishes (vegetarian, too) and plenty of live music at the UNO Lakefront Arena festival grounds March 31 and April 1. One-day general admission tickets are $25 in advance and $35 at the gate; kids under 12 are free. Kenner’s Italian Heritage Festival — Celebrate Italian culture even after St. Joseph’s Day with this fest happening March 31-April 2. Local crafts and live music set the tone to browse historic photos and a St. Joseph’s Day altar. The fest lasts from 6-10 p.m. on Friday, noon to 10 p.m. on Saturday, and noon to 6 p.m. on Sunday. Tickets are $5 (free for children under 12). Freret Street Festival — Freret Street in Uptown New Orleans just keeps growing. This free fest celebrates the neighborhood with more than 200 vendors plus live music on three stages, activities for kids, pet adoptions, and more. Hit the fest on April 1 from 11 a.m. until 6 p.m.
Music Under the Oaks — On April 2 and April 9, the Loyola University School of Music (April 2) and the New Orleans Concert Band (April 9) offer free concerts at 5 p.m. at Newman Bandstand in Audubon Park. Food and drinks are available at this lovely event — bring your lawn chair for a comfy seat! A Taste of Covington — Dine out on some of the North Shore’s best food and wine at this upscale event happening April 5-9. Tickets vary. French Quarter Festival — All the French Quarter becomes a stage at this free event from April 6-9. Hundreds of bands play all throughout the French Quarter on stages small and large. Food from more than 60 restaurants keeps your appetite at bay so you can enjoy the music! Spring for Art — This free downtown Covington fest on April 18 features music, live performances, and — of course — art. Businesses will stay open late so you can peruse and enjoy the festive atmosphere. Lake PontchARTrain Craft Fair — Browse work from more than 30 vendors offering jewelry, crafts, artwork, pottery, and more from 10 a.m. to 4 p.m. on April 22. Jazz Fest — On April 28-30 (and then again May 4-7), Jazz Fest brings in incredible acts like Stevie Wonder, Alabama Shakes, Wilco, Patti La-Belle, Kings of Leon, Maroon 5, Tom Petty, and more. The fest runs from 11 a.m. – 7 p.m.; tickets are $70 in advance and $80 at the gate. Jazz Fest — See above! Mother’s Day Celebration — Treat mom to a fun day at Audubon Zoo for a free concert (with price of regular zoo admission) from New Orleans legend Irma Thomas. Additional performances plus family activities round out your day from 10 a.m. until 5 p.m. on Sunday, May 14. Mid-City Bayou Boogaloo — Boogie on the bayou at this three-day festival featuring Jon Cleary, Luke Winslow King, and more local music acts. Plenty of food plus arts and crafts are all part of the fun from April 19-21. Even better? It’s free! New Orleans Food and Wine Experience — Celebrate Memorial Day Weekend in good taste at this ultimate New Orleans culinary experience featuring grand tastings, a pastry show, a wine stroll, and so much more. Tickets vary; the Experience runs from May 25-28. Greek Festival — Go Greek! Along Bayou St. John in New Orleans, scope out Hellenic dances, cooking demonstrations, Greek music, food, and much more May 26-28. Ticket information TBA. Bayou Country Superfest — The Baton Rouge favorite moves to New Orleans this year with country artists like Blake Shelton, Miranda Lambert, and more. Head to the Superdome May 26-28; tickets start at $99. Louis Armstrong Airport is truly undergoing a renaissance. In addition to a new, upcoming terminal and new restaurants on-site (planned vendors for the terminal expansion include Pizza Domenica, Mondo, Mopho, and Emeril’s Table), “MSY” is also adding new international flights to its roster. Keep reading to plan your dream international vacation — we’ve got the scoop on where to go and what to pack so you always feel at home. London — British Airways announced its exciting new nonstop from New Orleans to London last year… and now flights are finally available starting March 27. The global culture and ancient history of this premiere city is just a direct flight away; there’s truly no reason not to take advantage of this amazing new offering from Louis Armstrong Airport! Panama — Some call Panama the gateway to the Americas, but it’s also a destination in and of itself. Whether you choose to stay in Panama or use the direct flight on Copa Airlines to venture into other nearby Central and South American countries like Costa Rica or Colombia, your flight will be quick and easy — it’s only 3 1/2 hours long! Frankfurt — Frankfurt is one of the largest, busiest airports in the world that offers easy access to other countries in Europe and Asia. You may choose the direct flight to Frankfurt as your connection to nearly anywhere else in the world, or you might decide to stay and explore Germany. Frankfurt is a truly European-style destination with historic landmarks, botanical gardens, museums, performing arts venues, and so much more; it’s also just a train ride away from Germany’s capital, Berlin. Cancun — Your beach getaway just got a lot more exotic with direct flights available seasonally to Cancun. Revel in the surf and the sun on a flight that clocks in at under 2 hours! Punta Cana — This gem of the Dominican Republic is another must-do beach destination available seasonally. You’ll be treated to incredible resorts, beautiful ocean views, and the laid-back style of the Caribbean. Toronto — Spend your vacay on the shores of Lake Ontario with a flight to Toronto. This cosmopolitan city is a prominent location for films, music, and the performing arts. Get a view of it all from the city’s famous CN Tower. Of course, you’ll want to prepare for weather and desired activities (are you envisioning a fancy night out? A heart-pumping hike? Pack accordingly!) wherever you’re headed, but there are a few things you can bring with you to stay relaxed and feel at home on a long flight. You’ll arrive feeling refreshed, not frazzled. Noise-canceling headphones — Crying baby? What crying baby? USB battery pack — A backup battery means you can Netflix binge without worrying about draining your phone! Lightweight scarf, jacket, or blanket — Planes get chilly, after all. Travel pillow — Pick one up at the airport if you forget to bring your own. The last thing you want when you land is a sore neck! Address of where you’re staying — This sounds obvious, but have the address written down or committed to memory. Customs agents may ask when you land, and you’ll certainly want to direct your cab driver to the correct place. Care pack — Pack a quart-size, clear plastic zip bag with items like moisturizer, eye drops, Tylenol, Alka-Seltzer, chapstick, and Emergen-C. Sometimes, long flights are just plain uncomfortable, but these items can help!